I am loving the sunny weather we’ve been having and it has meant some time sat in the garden reading, a luxury that I never normally have. At this time of year Instagram and blog posts are filled with pictures of lavender fields and I always get so jealous that we don’t have one on our doorstep. But, that could be about to change, with this post ‘Mayfield Lavender Farm‘. It is filled with gorgeous photos of Monkey and Kipper, along with their friends and mummy makes an appearance too. And guess what was right in the middle? A traditional red phone box, how completely random but brilliant too. The best bit for me is that Clare shares all the information you would need to visit the farm and when I had a look where it is, its actually not too far for us to go. So, I am super excited that I might get some pictures in the lavender fields after all. Laura has recently come back from her family summer holiday and let me tell you it was quite the adventure. ‘Oh I do like to be beside the seaside‘, is brilliantly written. It’s funny, it’s heart warming and it reflects everything that happens on a family holiday. I love the way Laura writes, it’s like a mini story that I don’t want to end. If you have time I recommend you read part one of her holiday too, you won’t be disappointed! I just adore this quote ‘To the world you are one person, but to one person you are the world‘ and Louise has written an honest post about what is the hardest part of motherhood for her and I couldn’t agree more. She took the words right out of my mouth. But, when Louise thinks about this quote it all starts to fall into place a bit more and that to our children we really are their world. Which is so true and one that I will try to remember more often. If you missed any of these last week it would be lovely if you popped over and showed them some #SharingtheBlogLove. There are no lavender farms in Spain so I’ll definitely have a look at that post! Lavender farms sound right up my alley!! Thanks for hosting! 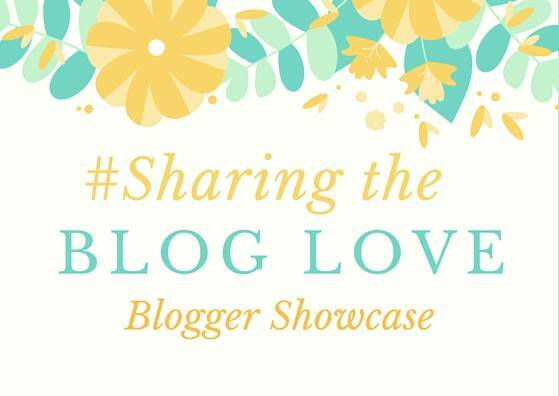 #Sharingthebloglove. Thank you for these choices, they are all very engaging, I particularly like Squished Blueberries and couldn’t agree more, what you think will be hard and what actually is, hoo boy does it blindside you! Some great choices here. I was surprised to see the scarecrow post – it’s the next village from us, and one of my friends had her scarecrow featured in the post! Thank you so much for hosting again! I will be checking out this weeks showcase posts!